Dashboards are defined in JSON and composed of three main elements: tables, line graphs, and bar graphs. You define a grid of rows and columns and then place elements within that grid, with each element spanning as many rows and columns as you specify. The best way to get started with building custom dashboards is to duplicate and modify one of the existing JSON files in the dashboards directory. Tables show metrics per dimension. For example, if your metric is CPU_Utilization and your dimension ShardID, a PerfTop table shows a row for each shard on each node. Bar graphs are aggregated for the cluster, unless you add nodeName to the dashboard. See the options for all elements. Line graphs are aggregated for each node. Each line represents a node. PerfTop positions elements within a grid. For example, consider this 12 * 12 grid. 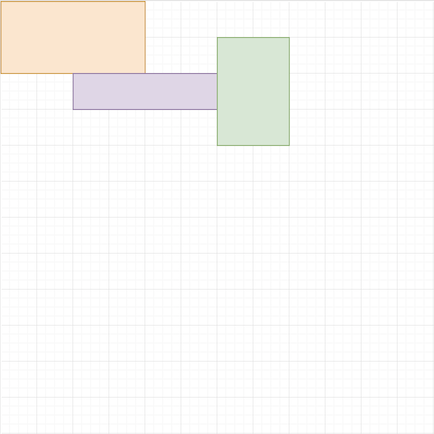 At this point, however, all the JSON does is define the size and position of three tables. To fill elements with data, you specify a query. For details on available metrics, see Metrics reference. Options include labels, colors, and a refresh interval. Different elements types have different options. Dashboards support the 16 ANSI colors: black, red, green, yellow, blue, magenta, cyan, and white. For the “bright” variants of these colors, use the numbers 8–15. If your terminal supports 256 colors, you can also use hex codes (e.g. #6D40ED). label String or integer The text in the upper-left corner of the box. labelColor String or integer The color of the label. refreshInterval Integer The number of milliseconds between calls to the Performance Analyzer API for new data. Minimum value is 5000.
nodeName String If non-null, lets you restrict elements to individual nodes. You can specify the node name directly in the dashboard file, but the better approach is to use "nodeName": "#nodeName" in the dashboard and include the --nodename <node_name> argument when starting PerfTop. bg String or integer The background color. fg String or integer The text color. selectedFg String or integer The text color for focused text. selectedBg String or integer The background color for focused text. columnSpacing Integer The amount of space (measured in characters) between columns. keys Boolean Has no impact at this time. barWidth Integer The width of each bar (measured in characters) in the graph. xOffset Integer The amount of space (measured in characters) between the y-axis and the first bar in the graph. maxHeight Integer The maximum height of each bar (measured in characters) in the graph. showNthLabel Integer Which of the xAxis labels to show. For example, "showNthLabel": 2 shows every other label. showLegend Boolean Whether or not to display a legend for the line graph. legend.width Integer The width of the legend (measured in characters) in the graph. xAxis String array Array of labels for the x-axis. For example, ["0:00", "0:10", "0:20", "0:30", "0:40", "0:50"]. colors String array Array of line colors to choose from. For example, ["magenta", "cyan"]. If you don’t provide this value, PerfTop chooses random colors for each line.